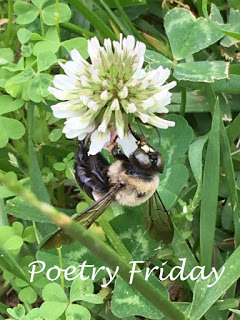 It's Poetry Friday, April 5th of poetry month, today hosted by Karen Edmisten, with a poem by John Ashbery, who shares his rather comforting words about poetry. Thanks, Karen! A break from the book, but I've had fun this week writing from its words and ideas! It's time for my line for the Progressive Poem! Below is the poem, thus far, and with the poets' list for the month on the right. Irene Latham, with a muse extraordinaire, created the Progressive Poem in 2012. Wow, it's the eighth year! You can hear all about it at her blog here! The previous four writers have continued Matt's opening challenge to use found lines for this poem, one we are writing for children. You can find the entire list on the right of poets who have or who will be writing. I do love all the music, but am veering a bit because my most favorite summer book of all is Dandelion Wine by Ray Bradbury. As soon as I read Matt's post, and then his line, I started looking (hoping) for a line that would work. It is a bit of action, that day when a child wakes, knowing it is the first day of summer. Now time for Tara at Going to Walden! Interesting line, Linda - now that we're adding someone else to the poem, who knows where this might go! Summer yawns before us, right? Thanks, Matt! I like it! My turn doesn't come until the 26th. Who knows where our poem will go by then! I remember for myself and for my children when they were younger how much easier it was to rise on summer mornings. There was no prodding. We were up and at it and soaking up the sun at the crack of dawn. Of course, school days were another story :) Thanks for your lovely addition. You're welcome, Kimberly. Yes, summer days mean magic to those who are ready for that special vacation, I agree! Linda, I like what you added to the poem, Linda. You are right, the first day of summer is one of the best days in a child's life. You added the excitement. Where does this go now? Will I be able to think ahead like you did. Hm! Questions, questions. Only time will tell what the answers will be. Thanks, Carol, it's a thrill to see what summer, and now this poem, will bring. A twist. I see mischief afoot! Cool that you could be working towards this from DayOne. And yay for bringing the first book to the poem! It's a book I loved giving to students as we made our way to summer, Thanks, Kat! This poem always fascinates me. How can people add a line and make it make sense? Pretty amazing! I love the direction you have taken it. Thanks, Carol. It is exciting! What will these next poets bring? 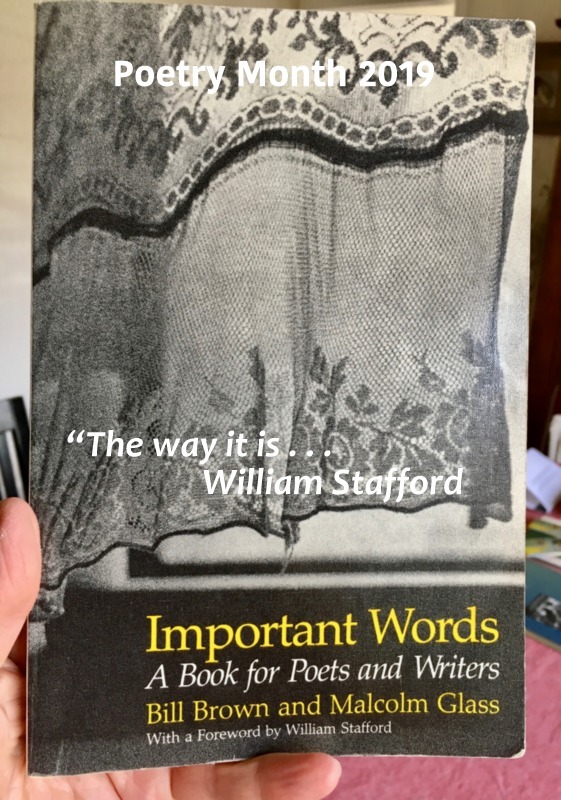 That is a wonderful book. I'm glad you brought a book to the party! You're welcome, Irene. This poem is a highlight of April. You know I love Bradbury, too! Hurrah, yes, April is a great time to re-read it! Thanks, Molly! I love this line. It feels like a new direction while staying with the topic of summer. The action of leaning on the window gives it a wistful feeling. Thanks, Margaret, now perhaps we'll see something happen 'outside' that window? Nice line (I also need to reread Dandelion Wine now) -- opens so many possibilities. Thanks, Jama, spring seems to be here, so it soon will be time to reread this wonderful book! Hooray for borrowing from a book! And I love the turn this line supplies, with something more specific about to happen? Thanks, Buffy, hoping now that child will see something outside! I love the way this poem is progressing. It brings back the memories of summer days of my youth. Bradbury is a delightful addition. I like the space you provided for a new stanza and now, the anticipation builds. What can be seen from the window? And I love that you borrowed a line from a book. I love that you "found" your line in a book! And what a great line to start a new stanza. Nice! Oh, this is so cool! I haven't caught up with our poem yet--busy week. So, this is the first I'm seeing it AND Matt's challenge. How wonderful! The line you added is great. I immediately remember the family photos of you and the grands on vacation. I love it. And, you've given me a new book to read. Woot! Thank you. I love this line. And where your found the line. Perfecto. Dandelion Wine is a favorite story for me. Need to reread . Love your line... it really opens up the possibilities. Matt's idea of building the poem from lifted lines is great. Thank you everyone. I'm happy that you like the line, now I'm excited for the next one from Tara! I love the double challenge here Linda. it calls for much thought and consideration from each contributor. This poem is taking shape with much care and grace. The Bradbury line fits smoothly and seamlessly into place. Wonderful line, Linda! Can't wait to find out what's outside that window! 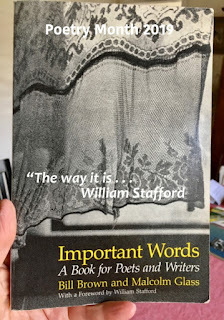 Thanks, Alan & Catherine, It's both nerve-wracking & fun to find a line for the poem. I'm looking forward to what's next! Love it, Linda! Found lines are turning out to be a fascinating twist. Wow! I missed a couple days after Matt's initial offering, and this is great! I love where the Progressive Poem seems to be going this year—all the found lines. Fantastic! Yes, it's fun, I agree. Thanks, Michelle. Love your line Linda, and that you've introduced a found line brought in from a book, nice alternative and gives us some wiggle room too! Fun to watch this unfold. Thanks for sharing, Linda. Ray Bradbury magic - ahhh.....! Thanks for your own magic, Linda! Thanks, Michelle, Cathy & Robyn. It would have been tough to leave out Bradbury's words. Thanks, Bridget. It's going to become an invitation to summer! Your line seems an inescapable invitation, Linda--and now I have to go off and get Dandelion Wine, since I appear to be the only person in the Kidlitosphere who hasn't read it! What fun, We've given you an 'invitation' to a new book, Heidi. I hope you enjoy it! Thanks again, Karen. I'm happy you love Dandelion Wine, too. And yes, the poem is going to continue to be fun to discover its path each day.